It’s time for an update on Zazzle. Many of you already know that we sell print-on-demand merchandise with online partners such as Zazzle, Cafe Press, Red Bubble, and others. This is part of a successful income diversification strategy that we implemented five years ago, which in turn led to location independence and our move to Hawaii. Over the last couple months, Zazzle has rolled out a considerable number of new products: apparel, accessories, timepieces, and wrapping paper, to name a few. Zazzle also introduced new smartphone cases for Apple and Android phones, in some instances even before the phones themselves were available (such as the iPhone 5S and 5C). 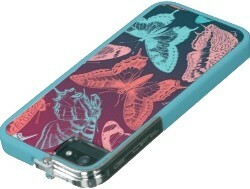 Amazingly, Zazzle has automatically migrated existing smartphone case designs to the new cases with about 95% accuracy, saving sellers tons of design and product posting work. This has all been very fast-paced, and, for some Zazzlers, very overwhelming. Fortunately for us, Pete’s multiple product creation strategies (see his e-book, More Products, Less Time), and diverse information sources have allowed us to keep up. Currently, we’re approaching 90,000 items for sale in our various stores, and we’re looking forward to an outstanding sales season. We’ve shared these developments with our Zazzle social media following all along, but during this latest go-around, we realized we wanted to ramp up and help other Zazzlers even more. So, on top of all the craziness of Zazzle-generated activity and strategic merchandising of our own stores in anticipation of the Christmas selling season, we refocused and expanded our Zazzle How2 resource structure. 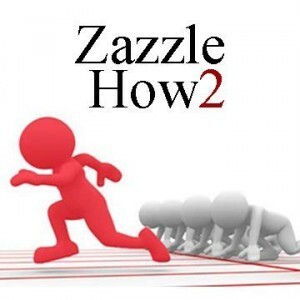 Our Zazzle How2 mission: Develop and share information that will accelerate your Zazzle experience and build your Zazzle business. Zazzle How2 website – the new and improved hub around which our information products and Zazzle social media presence revolve. Take special note of the Accelerate Resources. If it’s listed here, we’ve either bought it, used it, read it, watched it or wrote it ourselves. These are our best recommendations to help you accelerate your Zazzle experience. (Some affiliate links). Zazzle How2 Facebook Page – new! We sort through the mountain of online information and resources you need to help improve your Zazzle results, reviewing and posting only the best on this site. Zazzlers of all levels should find something helpful here, as well as the opportunity to contribute to the conversation. Zazzle How2 on Twitter – if Twitter’s your thing, give us a follow! Tweets will complement other coverage. Zazzle How2 on YouTube – you’ll find playlists we’ve compiled, along with our own videos offering instruction and information. Zazzle How2 E-Newsletter – subscribe and view newsletter archive by topic. We’re still catching up and will continue to do our best to keep up with all the great things going on at Zazzle. In the meantime, holiday merchandise is already selling. If you’ve been thinking of starting a Zazzle store to supplement/replace income, or if your existing Zazzle store could use more attention, Zazzle How2 can help!